If the sight of the mercury creeping upward fills you with spring fever, we’re with you. We, too, are restless for the toastier and longer days that are just around the corner. But before you can kick back on a balmy evening with a crisp glass of rosé or a cool IPA, you’ve got to get your home in shape. The month of March—when temps are beginning to rise but before those April showers—is the ideal time to get down and dirty with those maintenance projects, says J.B. Sassano, president of Mr. Handyman, a commercial and residential repair, maintenance, and improvement franchise. March “home maintenance projects can extend the longevity and improve the quality of your home, inside and out,” he says. So where do you start dusting off winter’s residue? We’ve got a handy checklist of home maintenance chores that will get your home ready to rock when the weather actually gets warm. And if you’re struggling to muster up the energy to tackle these chores, we’ve provided tips for how to do them faster and easier—or with the help of a pro. Because, hey, you’re busy. Task: Remove leaves, pine needles, and other debris that have accumulated over the winter so your gutter system is ready to handle spring showers. Overflowing gutters and blocked downspouts can damage siding and foundations. 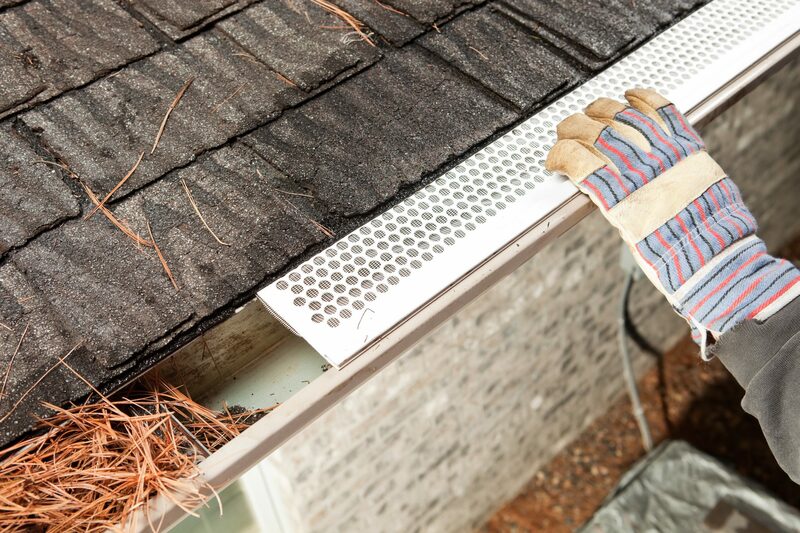 Shortcuts: Install gutter guards—screens, foam inserts, surface tension covers—which help to keep debris out of gutters. In general, screen types work best, according to the folks at Consumer Reports. Call in the pros: A gutter cleaner charges $100 to $250 to clean 200 linear feet of gutter on a two-story, 2,500-square-foot house. Professional installation of gutter guards runs $7.50 to $10 per linear foot. Task: Remove dust and debris that have accumulated on the AC condenser (the big metal box outside your house) so that the AC works efficiently. Shortcuts: Hook up a garden hose and spray the outside of the condenser. The water will melt away the gunk. Don’t use a brush, and be careful if pressure washing—you could damage or bend the fins. Task: Start bringing your yard back to life now, before temperatures warm up for real. Shortcuts: Remove branches and stones, and use your lawn mower with a catch bag to make short work of dead leaves and twigs. Got roses? 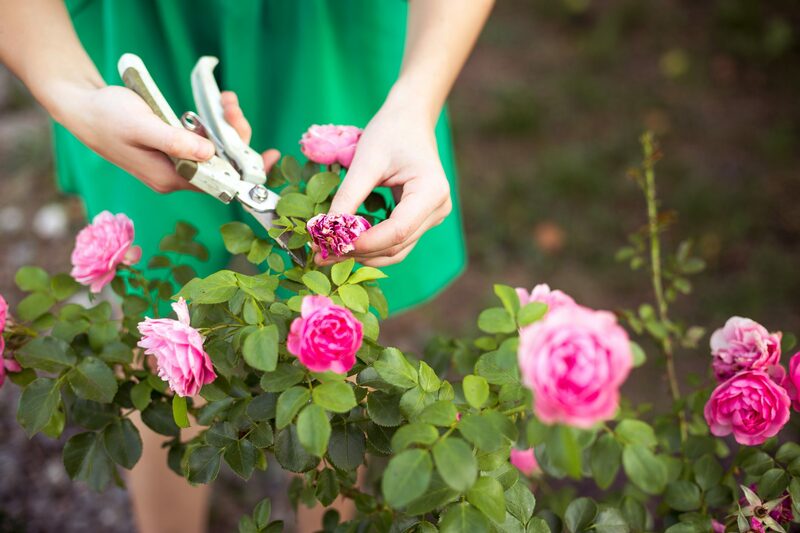 For full, beautiful blooms, most landscaping experts will tell you to prune your rose bushes just before the plant breaks dormancy and after the final frost—around mid-March for much of the country. If any buds are diseased, bag and toss them in the trash to avoid spreading fungus and infestations. Call in the pros: A lawn service charges $65 to $90 for mowing and leaf removal on an average-size lot. Task: Get rid of dirt and grime that can cause mildew and shorten the life of your siding. As a bonus, the exterior of your home will look fresh and clean for spring. Shortcuts: There’s no need for fancy cleaning solutions or power washers; a bucket of warm, soapy water and a long-handled brush are all you need. Rinse with water from a garden hose. Call in the pros: Cleaning the siding on a two-story, 2,500-square-foot house runs $900 to $1,150. Task: Cleaning your deck of leaves and debris—especially between deck boards—prevents staining and reduces the chance of rot. 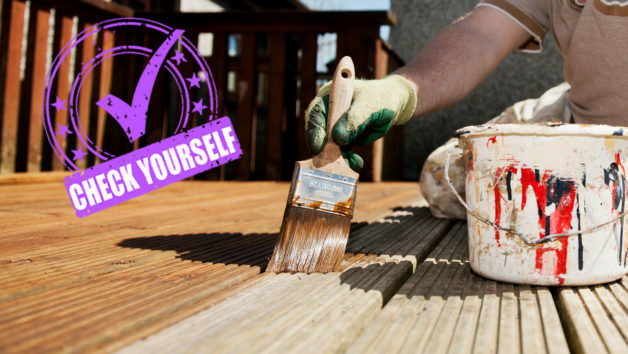 Check for loose boards, and reset protruding nails to keep your deck safe. Shortcuts: Use a flat-bladed screwdriver to pry gunk out from between boards. 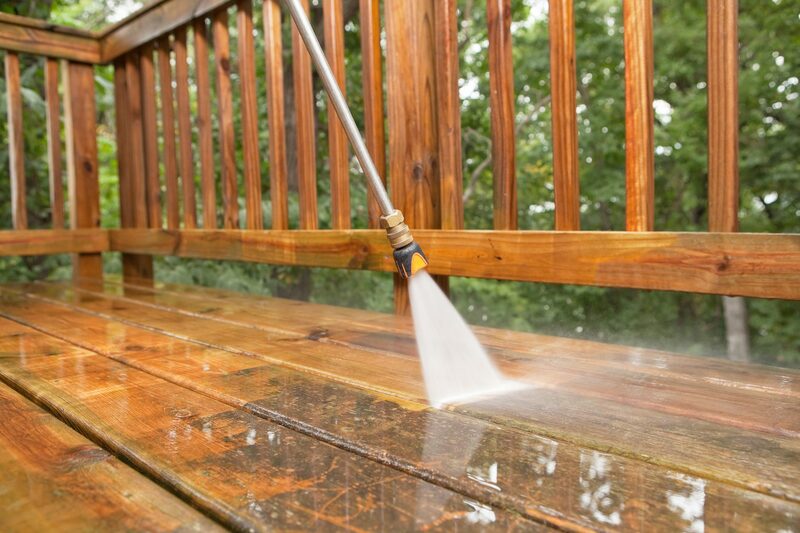 Use a deck cleaning product to revive faded and stained boards. Call in the pros: A deck-cleaning company charges $80 to $480 to clean a 16-by-20-foot deck. Task: Inspect the caulking and repair any that was battered during the winter. Check around your windows, doors, and corner trim to prevent water infiltration and avoid costly repairs. Shortcuts: Feel like you’re always caulking? You can cut down on the frequency of this task if you buy high-quality siliconized acrylic latex caulk rated for exterior use. It has good adhesion and flexibility, cleans up easily with water, and is paintable, too. Call in the pros: A professional caulking job on an average-size house costs $178 to $410. Task: Winter is tough on concrete and asphalt—freeze and thaw cycles can break apart stone and concrete. You’ll want to seal cracks with sealant made for the specific material of your driveway or walkway to prevent further damage. Shortcuts: Stuff foam backer rods in large cracks to reduce the amount of sealant you’ll need. Call in the pros: You can hire a handyman to repair cracks and holes for anywhere from $100 to $250. Task: Take a close look at your roofing to check for loose and missing shingles, worn and rusted flashing, and cracked boots around vent pipes. Shortcuts: Make it easy on yourself by checking your roof with a pair of binoculars while standing firmly—and safely—on the ground. Call in the pros: A professional roofing contractor will inspect your roof for free, but will charge for repairs: $95 to $127 to replace broken or missing asphalt shingles; $200 to $500 to replace boots and flashing.